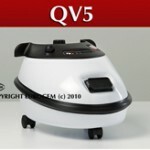 Steam Only models, while sanitizing and dislodging contaminants, will not pick up the residue. In conjunction with your steam only cleaner you must use a cloth or direct the residue towards a drain hole or squeegee it away. For this reason we do not advise you choose a steam only cleaner as your first choice for floor cleaning. Steam with vacuum cleaners are better suited for this purpose. 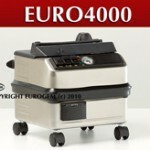 Commercial businesses that use hot water for cleaning such as butcher shops, car detailing businesses, medical and dental/denture practices, bakeries, veterinary surgeries, kitchens have discovered that Eurogem’s Steam Only cleaners are an easy way to sanitize and a great water saving alternative. The Euro4000 is recommended for light commercial use. 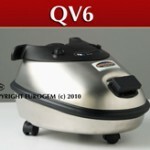 The QV6 operates at slightly higher temperatures and supports an automatic boiler for domestic use.